Many people who suffer a brain injury will require the services of a wide range of health and social care professionals over a long period and their needs will change over time once they emerge from an acute trauma facility. How and when support is delivered will depend on the nature of the injury and the services available through local NHS Clinical Commissioning Groups and social services teams as well charities and voluntary organisations. Both the NHS and local authorities are obliged to assess the needs of an injured person and their carers, and often have a statutory duty to provide a range of support services and care. Identifying the support needed is just the first hurdle. Many people struggle to understand that there is more than one door to be pushed, and that private funding might be required to achieve a comprehensive package of care. Whatever your personal circumstances and irrespective of whether or not you might be considering a compensation claim, we can help you find the right support. We work with several charities and related organisations and will be happy to signpost you to someone who might be able to help. 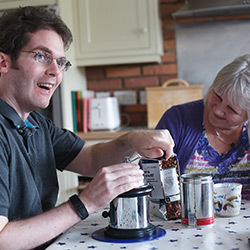 In addition, you may find our online directory of services helpful: The BIG Directory links you to a wide range of services and professionals that support people with a brain injury and their family.